An undisclosed injury has forced Nam Phan out of highly anticipated mulligan with Leonard Garcia. The “UFC Fight Night 24: Nogueira vs. Davis” show must go on, as Chan Sung “The Korean Zombie” Jung will step in on short notice to rematch Garcia on March 26th. Garcia holds a 15-6-1 professional mark and was last seen taking a controversial split decision over Phan in December. Jung owns a respectable 10-3 record, but it’s his ability to take a licking-and-keep-on-ticking that has won fans over stateside. 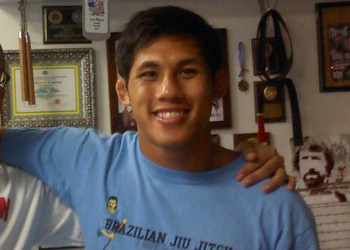 The Korean was recently signed to Urijah Faber’s highly popular Form Athletics company. Similarly to Phan, Jung was also on the wrong end of a controversial split decision loss to Garcia. UFC Fight Night 24 takes place inside the Key Arena in Seattle, Washington. The Spike TV broadcast airs live at 9PM ET/6PM PT.